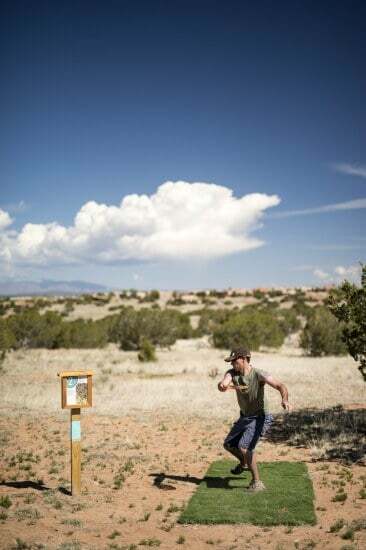 The Institute of American Indian Arts (IAIA) Disc Golf Course is a private, membership-based pay-to-play venue. 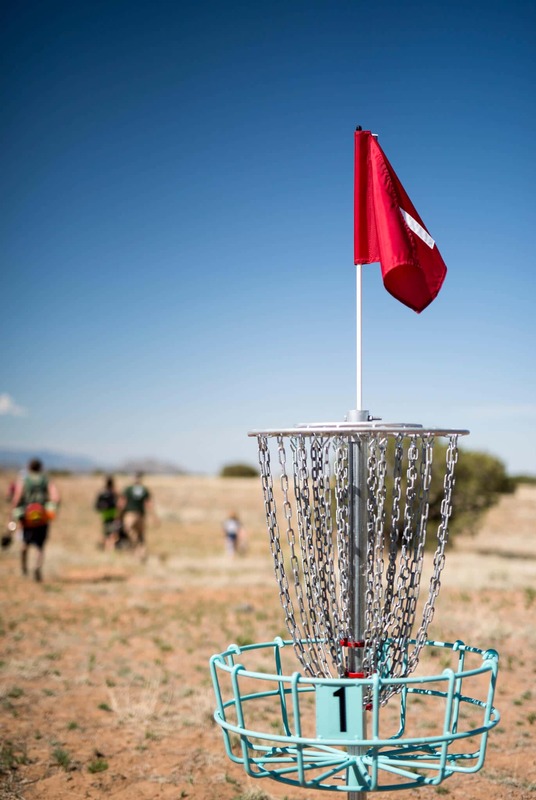 Memberships and day passes can be purchased at IAIA Disc Golf Course Membership and Daily Fee or in the IAIA Campus Bookstore. Each non-member visitor must purchase a day pass and retain their receipt as proof of purchase. The purpose of IAIA Disc Golf Course is to offer a fun, healthy, and lifelong recreational opportunity for IAIA and the surrounding region. Disc golf is a component of the college’s health and wellness curriculum and the course exists to enhance our campus facility and offer a unique feature to our community. 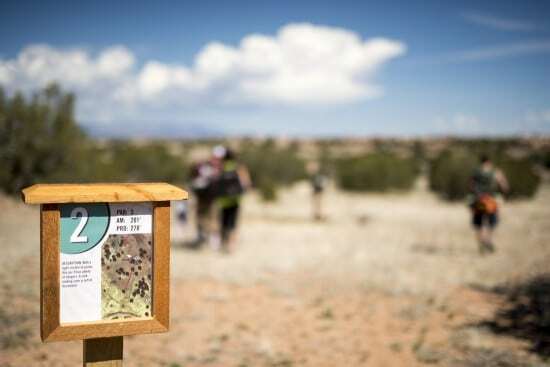 All money generated by the disc golf course benefits the IAIA Associated Student Government and the disc golf course. All players must be IAIA Community members, disc golf course members, or have paid the day use fee. Throw from designated areas specifically located for reasons of safety and challenge. Be sure the fairway is clear before throwing. Pedestrians always have the right of way. Yell “Fore!” if a thrown disc is approaching a pedestrian. Pack in—Pack Out. Pick up trash as you go, whether it is yours or not. The course is only open during daylight hours. All drug and alcohol use is prohibited. 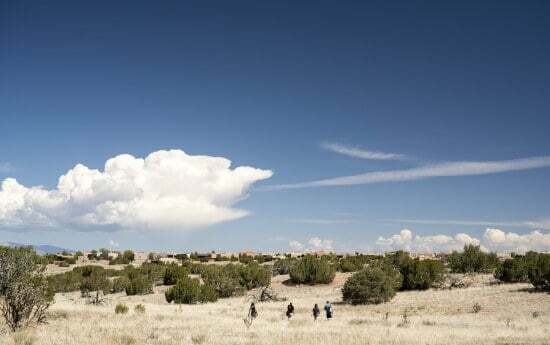 Drug and/or alcohol use on the IAIA campus will result in revocation of use and involvement of law enforcement. If a disc is in the middle of a tree and establishing a stance and throwing will damage the tree, relief may be taken one meter behind the tree on a straight line to the basket without penalty. Stay on designated paths where marked. Respect the environment and its inhabitants. Do not damage or alter trees and obstacles. 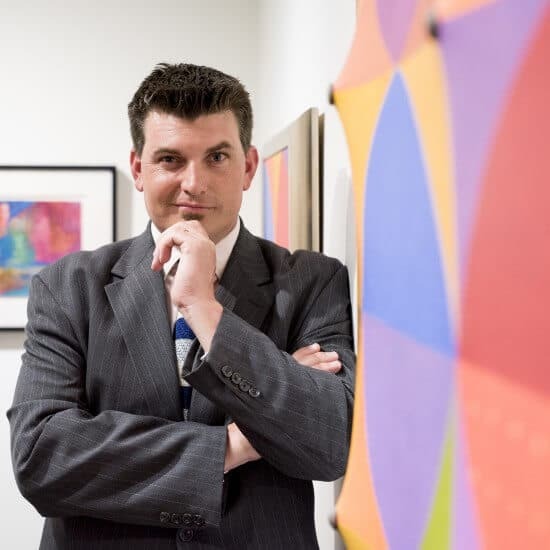 Vandalizing targets, signs, equipment, artwork, and landscaping is a serious offense and will result in revocation of use and involvement of law enforcement. No pets allowed on the course (even those on a leash)! Please do not use profanity or make excessively loud noises! Good sportsmanship rules are to be observed. Access to the IAIA Campus is a privilege. Be respectful and courteous of the environment, students, staff, and faculty of IAIA. A short, uphill, and straightforward par 3. Avoid the guardian trees to get a birdie; long and left is a safe play. With a tight, technical green, this par 3 has plenty of dangers. A safe landing zone is left of the basket. This par 3 finishes uphill to a tight green. Big arms may want to go pin-high right of the basket for a good look at birdie, while a safe placement is middle-left of the fairway. An OB is marked on the far left side of the fairway. The safe play is short of the basket on the left side of this uphill par 3. The well-protected basket is accessible from the front and long-right side of the green. Short and technical, the basket on this short par 3 is best approached from the left side of the green. On a downhill shot to a well protected basket behind a large juniper, this par 3 can be accessed from either the right of the basket, pin high–or short left, which will leave an uphill putt. The fence behind the basket is OB. Stay in the middle to birdie this short, uphill par 3. The first par 4 on the course finishes uphill. Long arms should stay right to have an eagle look, while solid drive placement in the middle of the fairway should lead to a birdie 3 opportunity. The front nine finishes with dog-leg left par 3. Stay in the middle/right side of the fairway to have a look at birdie. The shortest hole on the course, the first hole of the back nine is a par 3–uphill and aceable. Run it. The start of the Gauntlet, this par 4 works to a funneled fairway, and continues over the crest of the hill to an open green. Right and short of the funnel are good plays–unless you can carry the large junipers on either side of the gap. The asphalt on the right is OB. Stay to the right on this downhill par 4; the white pole the fairway with a look at the basket. The hole continues right where the basket is well protected by a circle of junipers. A par 4; the white pole marks the left side of the fairway. Stay right. The basket is located in a small, well protected green on the knob of a hill. An uphill, 90 degree dogleg right par 4. The white pole marks the right side of the first fairway with a look at the basket, which t is located right down a tunnel and green. Big arms may look at a big anhyzer over the junk–but the safe play is straight up the hill. A hillside to hillside par 3; the fence on the right is OB. Stay to the right side of the fairway for a look at birdie. Straightforward, short, downhill par 3; fence on the right is OB. Avoid the trees left of the basket. A lengthy par 4. The white pole marks the left side of the fairway and the fence on the right is OB. The fairway moves downhill before climbing left to the green on top of a hill. The finishing hole is an uphill par 4. The white pole marks a safe landing zone in front of a row of guardian trees. The fairway continues left to an open green–beware of the kidney shaped hazard left of the basket. Ace: Known as a hole in one in ball golf. An ace occurs when a player makes their first shot, or drive, into the basket. One of the unique practices in disc golf is to have all participants in the ace group or all spectators sign the “ace disc.” Aces are more common in disc golf than ball golf as the top pros boast as many as 100+ aces in their careers. Anhyzer: A disc’s flight arc that fades to the right for a right-handed backhand throw. Approach: Usually the second shot of a hole, designed to place the disc within putting distance. Drive: Any throw off of the tee pad, or a throw from the fairway designed for maximum distance. Driver: A disc designed for fast, long-distance flight. The driver is the most difficult to control. Hyzer: A disc’s flight arc that fades to the left for the right-handed backhand throw. Lie: The spot where the disc comes to rest. This is often marked by a mini-disc marker. 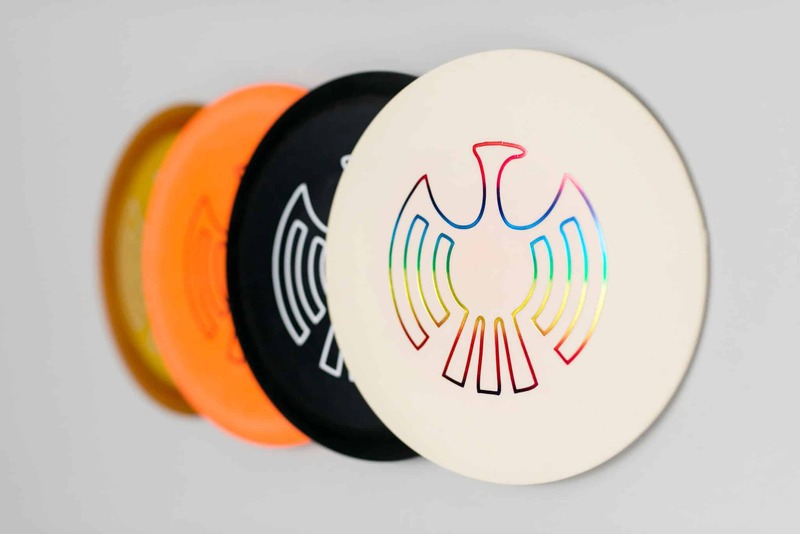 Mid-range : A mid-range disc is a driver disc designed for slower and more stable flight. Mini/Marker: A small disc used to mark a player’s lie. Par: Like in ball golf, each disc golf hole has a posted par. The par is the desired number of strokes that a player would need to complete the hole. To the competitive disc golfer, every hole is a par three, making the total par for 18 holes always 54. This serves to simplify the game. Pole hole or basket: The target for catching the disc. Pole Hole is short for Disc Pole Hole. Putt: The final throw(s) of the hole aimed at getting your disc to come to rest in the trapper basket. Any throw within the circle ( 10 meter radius). Putter or putt and approach disc: Putters or Putt and Approach discs are designed for short-distance and stable flight. Usually used within the circle. Roller: A rolling disc advance (e.g., the disc rolls along the ground). Tee Pad: The location or designated area in which the first throw of the golf hole is suppose to take place from. Tee Pads are typically be made of concrete or rubber. 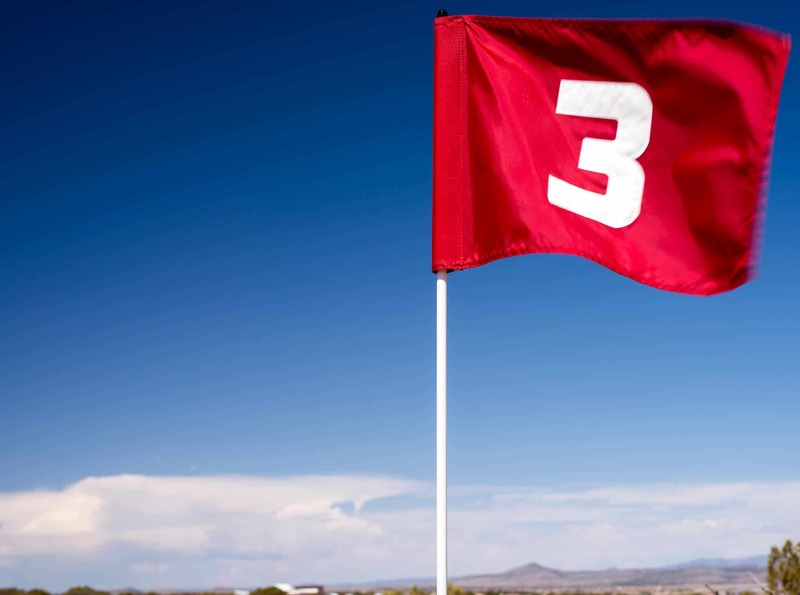 A portion of a side walk or a utility marker flag or spray painted box may also be used as a tee pad. The Basket: Born of the original pole hole, the game of disc golf advanced rapidly with the invention of “Steady” Ed’s Disc Pole Hole or “Basket” as it is commonly referred to by disc golfers. Once a disc comes to rest in the basket, the hole is considered complete. The Circle: This is what helps defines a true disc golf putt. If a player is throwing his/her disc at the basket with in a 10 Meter or 30 Ft circle of the basket, they must follow an additional set of putting rules defined by the PDGA. Basically if you’re in the circle, your disc has to come to rest in the basket before any part of your body touches past the mini marker towards the basket. Failure to do so can lead to a “falling putt” penalty stroke. Throw: The act of advancing the disc towards the basket. This can be accomplished by many different throwing styles; Backhand, Forehand, Rollers. Each throw is counted towards the player’s score. This terminology comes from www.discgolf.com.